I disagree with people who claim you have to work extra hard or give up things you like and use to save money. If you like watching cable TV/it is the only way you can stay connected to the outside world, depend upon that subscription meal box because you stink at meal planning (raises hand,) as long as you can afford it (or are willing to shift other things in your budget to keep it if things are tight,) there is no budget law that says you can’ t keep it. 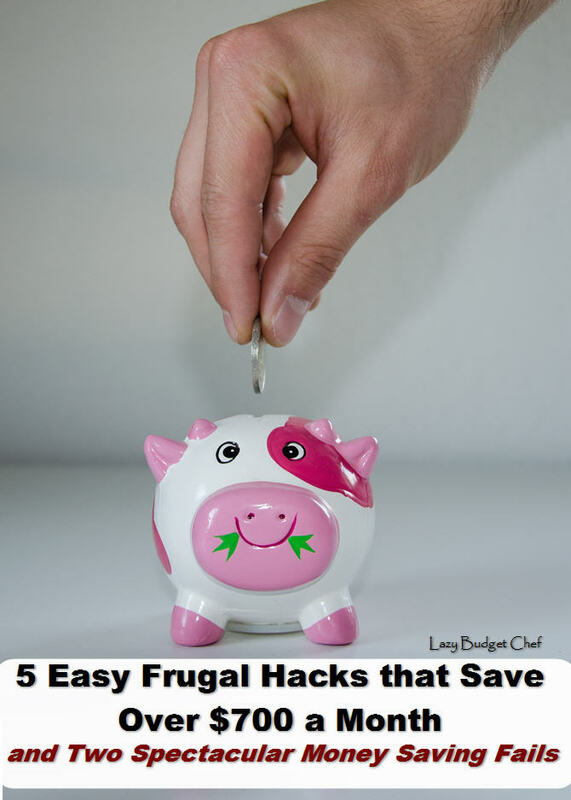 Personally, I knew there were several of those habits and expenses I can afford but aren't using them, they didn’t fit anymore, or more realistically on the Someday We Need to Find a Better Option When We Have Time to Get Around to It list. Once I decided that today was Someday, I saved more money than I expected that I can happily put toward other things I like, want, or need. 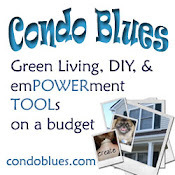 Consider this a list of budget trimming ideas and not absolutes. If you disagree or have a better money saving idea share them with us in the comments below! Save this list of ideas to your Pinterest boards for later! Share it with your friends! Yea, yea I know. 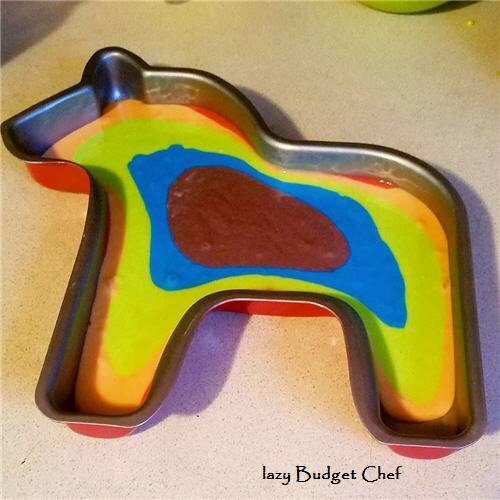 I usually bake cakes from scratch but in this case, it is a dairy free cake mix with vibrant colors I can only get if I buy an army of cake coloring gels like these. I really wanted to focus on turning the horse shaped cake into a unicorn using licorice laces like these for the tail and a twist lollipop like this one for the horn. 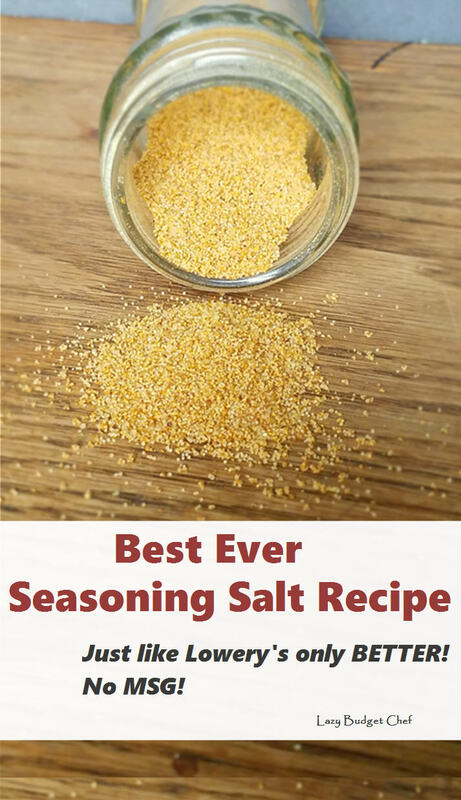 The Best Ever Seasoned Salt Recipe! It wasn’t hard to figure out that the secret to my favorite local Greek restaurants amazing French fries is that they salt the fries with seasoned salt instead of regular. So good! Naturally I started keeping a bottle seasoned salt in my kitchen and used it to make baked French fries. 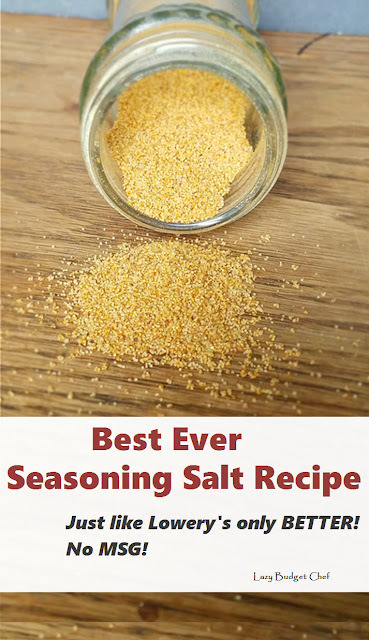 Seasoned salt quickly became one of my favorite ways to flavor grilled and sautéed fish, burgers, and in recipes when I got stuck for a seasoning idea. Until I read the ingredient label on a bottle of seasoned salt and found it loaded with an obscene amount of salt and MSG, depending upon the brand. Fortunately, with a bit of experimenting, I made a seasoned salt recipe with less salt in it that store bought, tastes just like Lowry’s Seasoned Salt (my favorite brand,) and is a whole heck of a lot cheaper to make. Dentists recommend you change your toothbrush when the bristles start to bend, which means you’re going to replace your toothbrush about four times a year. That quickly adds up to a lot of toothbrushes – made from plastic or even bamboo – that you’re throwing away a year. 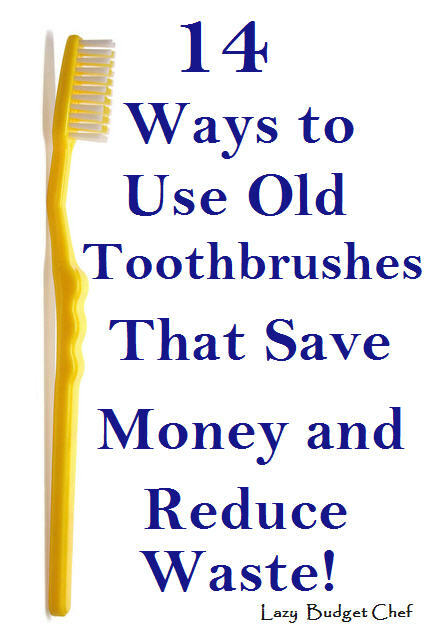 You’re also throwing away money because those dead toothbrushes can be useful around the house for cleaning things besides teeth. Pin this list of tips and ideas to your Pinterest boards for later! Share them with your friends! My family’s cooking style evolved from the traditional American big hunk of meat main dish with little sides of vegetables and potatoes to a formula of lots of vegetables, a starch, and a protein as more of a condiment than the star of the dinner recipe show. We started with Asian flavored stir fry meals being heavily influenced by my trip to Japan and Hong Kong and grumbling bellies demanding a quick dinner ASAP after getting home from work. Not to mention, just using a handful from several bags of fresh and frozen vegetables in a stir fry makes them last longer than dumping the whole bag in a pot and serving it as a side dish (although I still do that from time to time.) 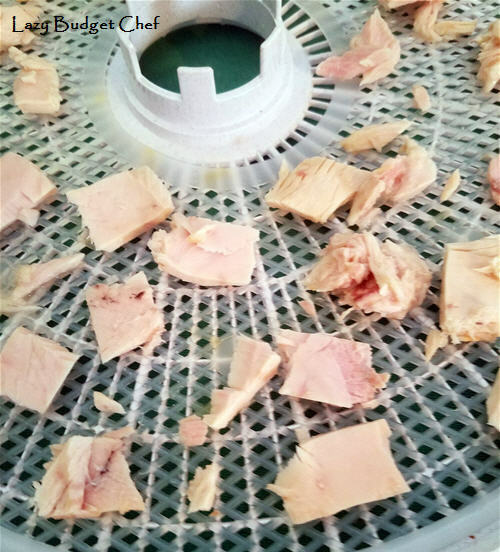 The same thing goes for meat – or if you’re running low on meat to make a full meal for a group you can always add beans, nuts, or tofu to bump up the protein content, serve it on a bed of rice, and Bob’s your uncle. I accidentally started saving more money on our grocery bill when I started reading the weekly grocery sale flyers like a magazine each week and buying my fresh fruits and vegetables according to what is on sale which is - guess what! – shopping and cooking according to the national growing season and super cheap. Save this list of dinner recipe ideas to your Pinterest boards for later! Share it with your friends! The first meal I made in my Instant Pot was soup. 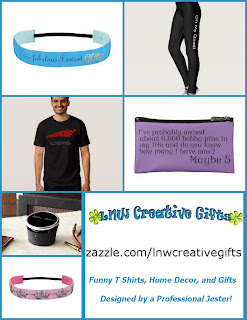 (I am including affiliate links in this post for your convenience.) 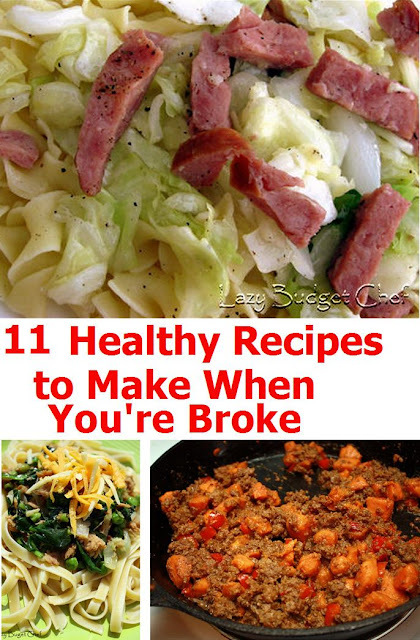 It really hits the spot on a cold day and is a fantastic way to stretch your grocery budget by using up all of those little odds and ends in your kitchen cupboard that aren’t quite enough to eat as a full meal on their own. Save this dinner idea to your Pinterest boards for later! Share it with your friends! Making minestrone soup is the perfect recipe for that! 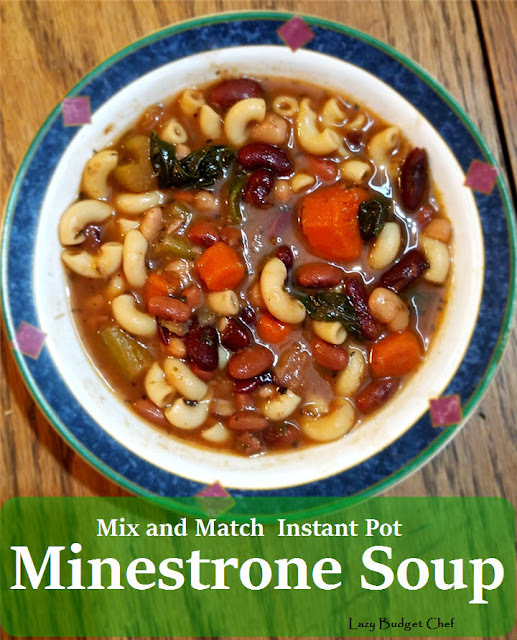 This minestrone soup recipe is very forgiving if you don’t have or don’t like to eat some of the ingredients I have listed here. Traditionally minestrone soup was made in Italy with in season summer vegetables. During the winter I usually have a cupboard full of dehydrated vegetables (the downside to having almost no longer term storage space in my freezer) that I forget to soak before I can cook with them, which makes using them for Instant Pot minestrone soup ideal – no soaking necessary! The same goes with dried beans. Thanks to my lovely electric pressure cooker (you can find more affordable options here if the Instant Pot price is out of your budget range) I stopped buying canned beans as a backup. I pretty much never pre soak dried beans either. 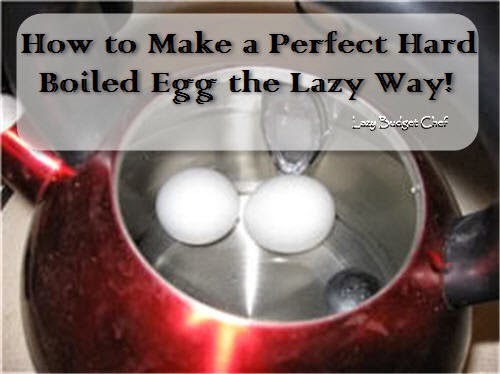 I just chuck them in the Instant Pot and let them pressure cook with the rest of the ingredients in the recipe. The only exception to not pre soaking dried I’ve found to that is dried chickpeas. Soaking chickpeas in water first means I can use the 30 minute Bean setting once instead of twice.